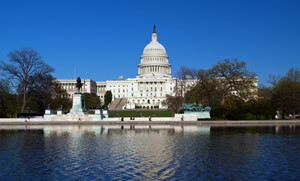 When it comes to legislation about coins and the U.S. Mint, the 113th United States Congress has been busy. Since convening on Jan. 3, 2013, members of the House of Representatives and the Senate have introduced dozens of bills on coinage. Ten different commemorative coin acts have been submitted for consideration, and those are joined by many more bills that could affect the United States Mint and the coins and medals it strikes. None of these bills have been enacted into law. On related legislation, the Commemorative Coins Reform Act of 2013 seeks a change to modern commemorative programs. Under the terms of the bill, it would prohibit surcharges from being paid to private organizations or entities. Following are very brief summaries of commemorative coin and United States Mint related legislation and resolutions that were introduced in 2013. For any one of these proposed bills to become law, it must pass both chambers of Congress and get signed by the President. That must happen before the end of the 113th Congress, which is schedule to close on Jan. 3, 2015. Latest Action: 01/31/2013 Read twice and referred to the Committee on Banking, Housing, and Urban Affairs. S.Res.174: A resolution designating June 20, 2013, as "American Eagle Day", and celebrating the recovery and restoration of the bald eagle, the national symbol of the United States. ENOUGH with commemoratives for every Congress-member’s pet cause! How ’bout bringing the coins we use every day into the 21st century – ?! How about 2015? THeres a lot of proposed litigation above for 2016/2017. I am wondering if the football hall of fame was really meant for 2015, and not 2017?